These primitive and unique rusty lids will give your jars an antique look. They are hand painted, so each lid is unique. They are perfect for decorative and crafting uses, but they are not for food contact. Our silicone liners do not fit perfectly, but they will make these lids food safe and leak proof. They will also fit over a regular flat canning lid. 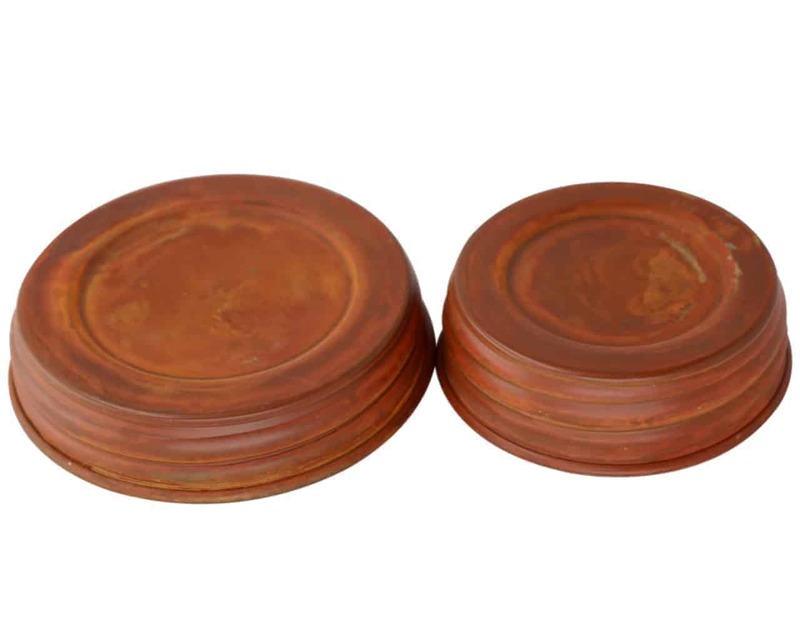 These heavy, high quality lids are made of steel and are hand painted to appear old and rusty. The finish on each one is unique to give them an authentic antique look. Imperfections are expected. Hand wash and dry to avoid (real) rust or discoloration. Not air tight or leak proof.